It's Mondayyy... and for everyone else in the country, day light savings was this weekend, but for us here in Arizona, we keep the same time year round. It's kind of confusing adjusting between Mountain Time and Pacific Time, but at least I don't have to lose an hour of sleep (however, I will need to double and triple check the showing time for The Bachelor tonight... hey Pacific Time people, what time is The Bachelor on?!). John and I had a great, relaxing weekend, and I am finally feeling caught up on "life"! We started the weekend with dinner in Old Town Scottsdale at Citizen Public House on Friday night. 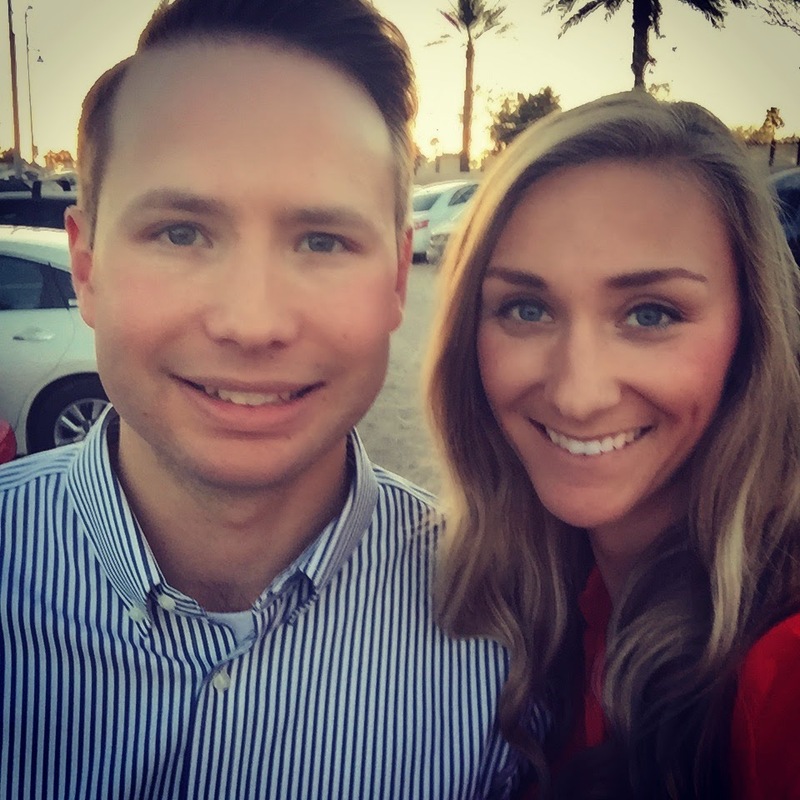 Our sweet friends Paul and Jennifer treated us in celebration of John finishing the Arizona bar exam. It was such a great time, and we are looking forward to returning the favor when Paul finishes the bar exam this summer! 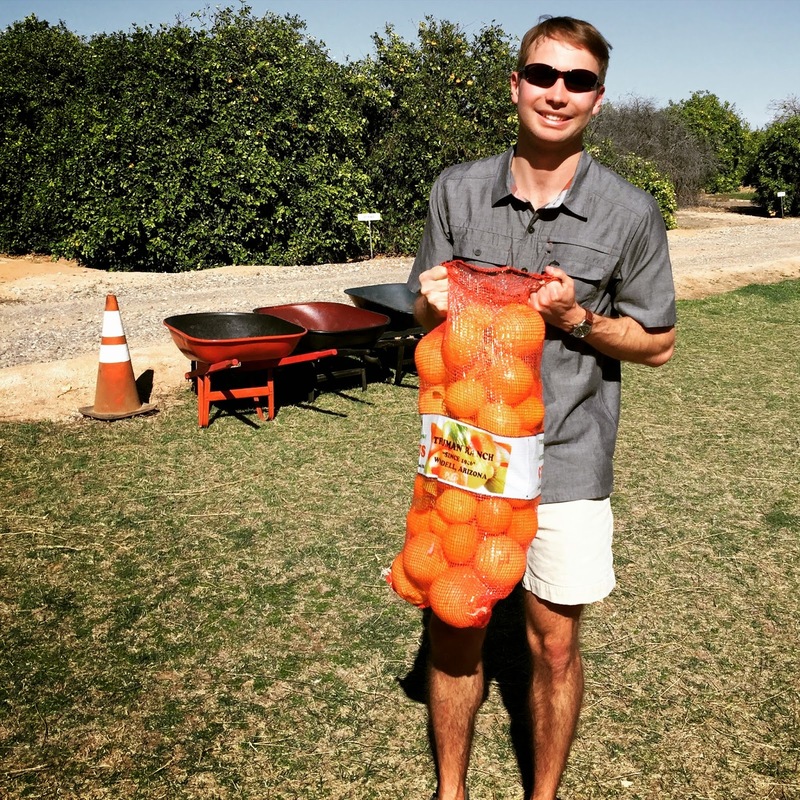 Saturday morning we headed out to Surprise, Arizona for some fun citrus picking. In Michigan there are apple orchards that I have been to, but this was my first time at a citrus farm. 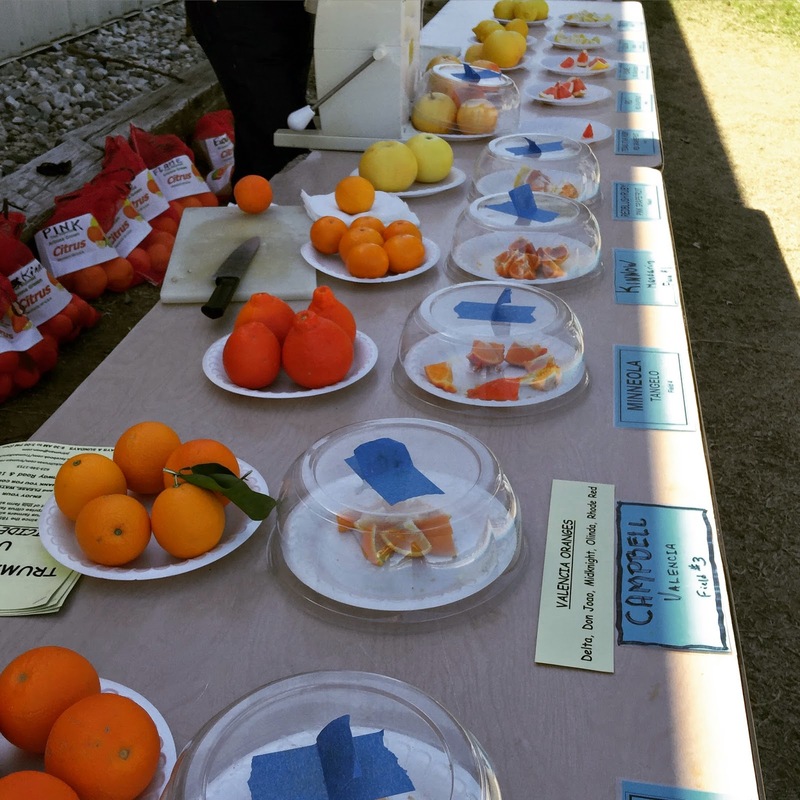 There were over 78 species of citrus fruit grown at the farm (but not all are in season at the same time). We had all sorts of oranges, grapefruit, and lemons to taste test before deciding what to pick. 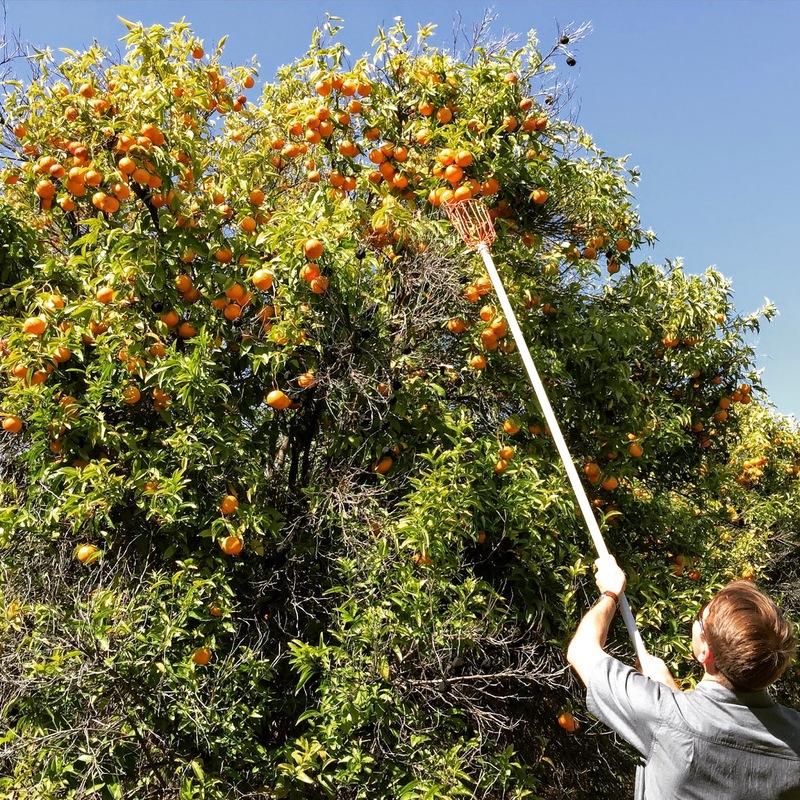 A lot of the low lying fruit was already picked, so we had to use a citrus picker to reach the top branches. We picked about 40lbs of fruit (and for only $20!). It was a beautiful day to be outside, and we will most certainly be coming back! After citrus picking, we had to figure out what to do with all of the fruit before it went bad, so we juiced about 10lbs of oranges! I am not normally an orange juice girl, but anything fresh juiced tastes incredible. If you have any other ideas of what to do with all the citrus, please let me know. We are currently averaging 2 grapefruit/hour! For dinner. 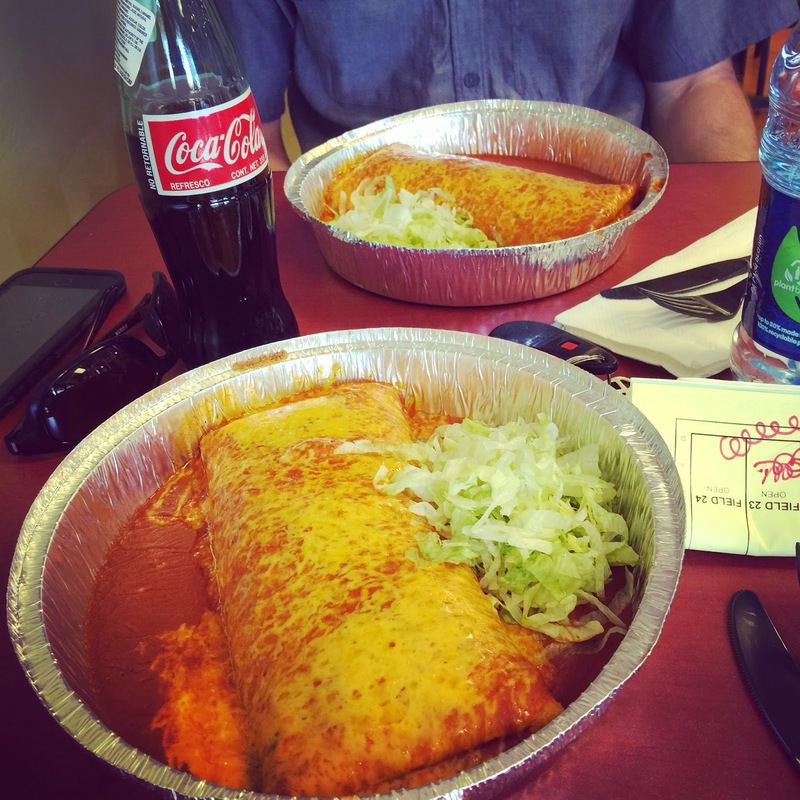 we ate at a fantastic Mexican food restaurant called Rito's. The portions are as big as your head, but yummo for sure! It's officially sandal weather here in Arizona, and I am already rocking my Spring pedicure. On Sunday, Jennifer and I convinced Paul and John to join us for a spin class at DC Ranch Village. It was so fun to do a class together, and I kind of hope John will come back and do more with me. 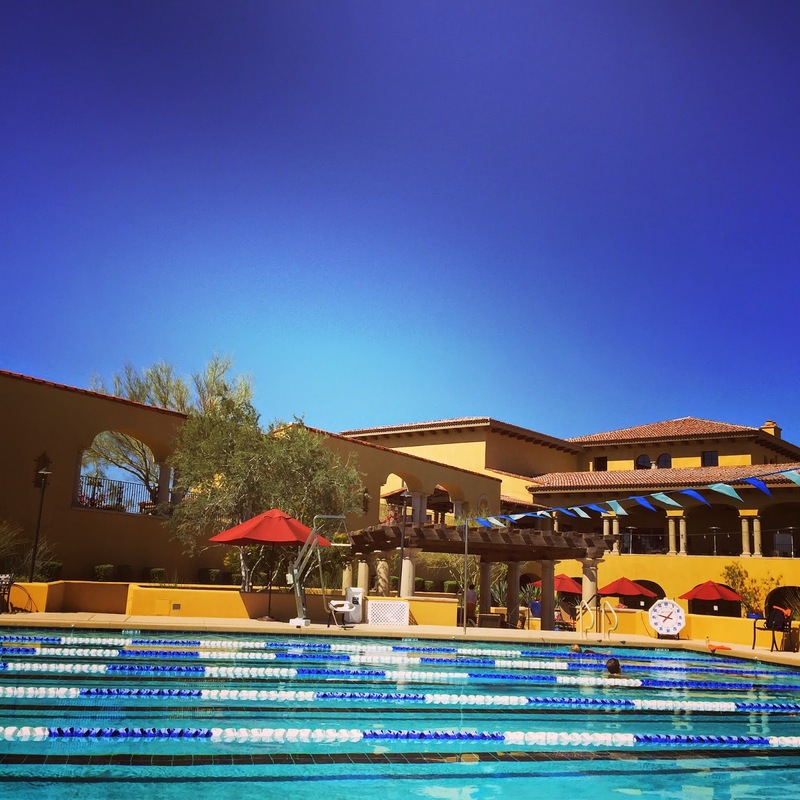 After the class we enjoyed lunch pool side and soaked up the sun. 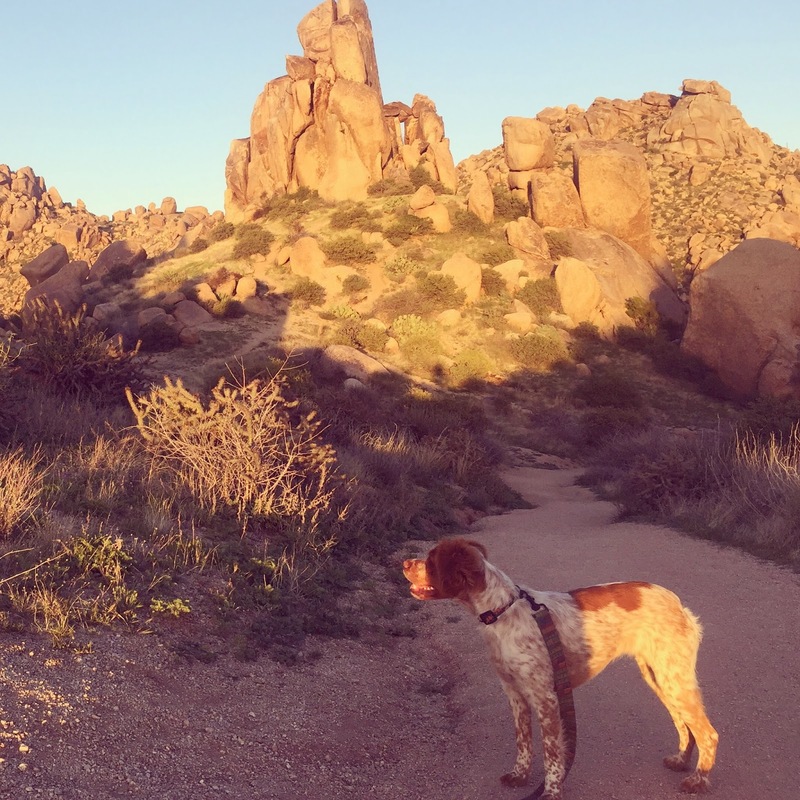 To end the evening, John and Scout hiked to Tom's Thumb - a point in the McDowell Mountains. John is trying to take advantage of the nice weather and get in as many hikes as he can before it gets too hot for the summer! Sounds like such a nice weekend!! That citrus farm is too neat. Maybe try fresh squeezed grapefruit juice as well- one of my favs! Im not going to lie, Im pretty jealous you dont have daylight savings time there. It was rough getting up this morning. Sounds like you had a great weekend! Loving your spring pedicure. You totally made me want to get one now :) And that last picture of your hike looks gorgeous! Happy Monday! I love how many fun things y'all manage to pack into one weekend. I'm so ready for the days when I can be poolside, too! So much fun stuff! I can.not.wait for sandal weather over here, we've been passing the 40 degree mark which feels significantly warmer, but I have a feeling sandal weather is a bit off! That citrus farm sounds amazing, how cool!! that mexican food looks divine. sounds like such a fun weekend!! What a perfect weekend!! 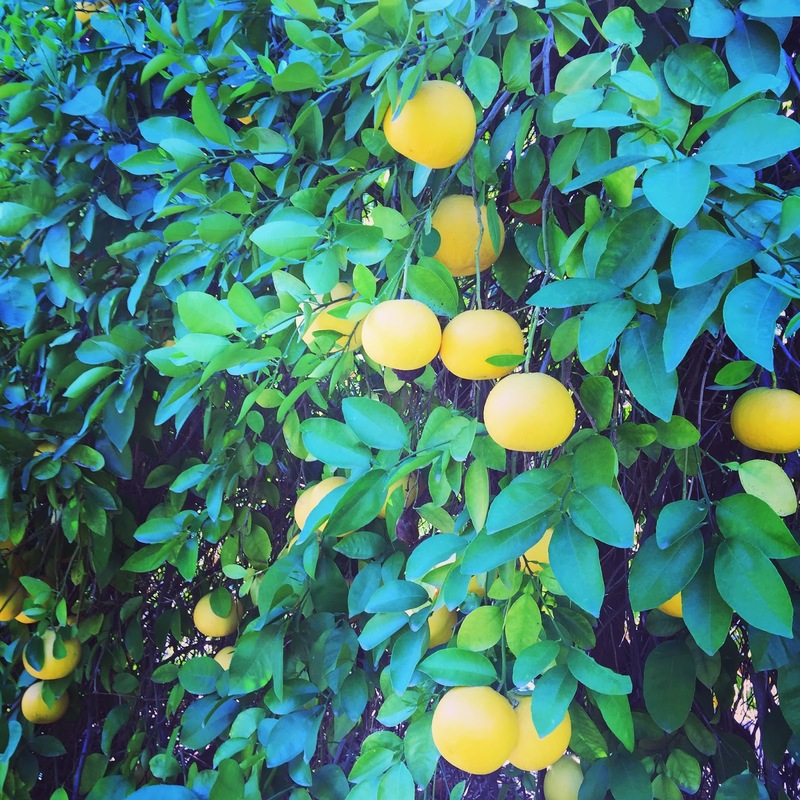 Why can't we have citrus farms in Michigan?!? ;) Love love love fresh squeezed juice and I'd have to make a batch of sangria, too! I love when a weekend ends and I feel completely caught up on life – that’s a huge win in my book! 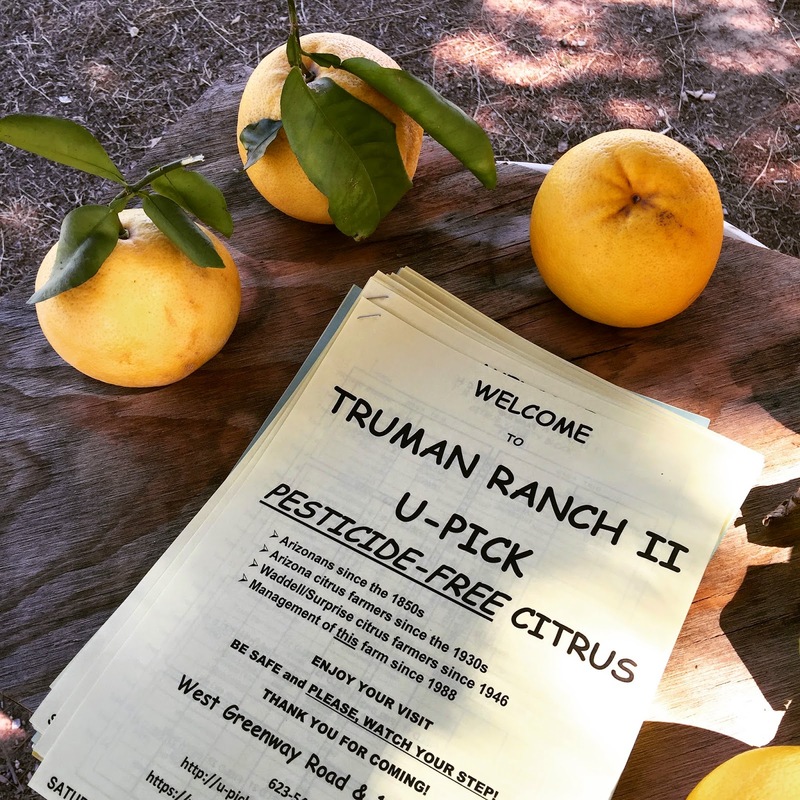 Citrus picking sounds fantastic, what a cute activity! Rito’s looks amazing!! I love when my husband is up to try activities with me – usually he ends up liking them! What a beautiful photo that last one is!! It sounds like you have a fantastic weekend! I am so jealous of the warm weather, we had snow again all weekend. Citrus picking looks like so much fun- and all of the pictures are so pretty with the bright colors! I had a tangelo for the first time a few weeks ago and loooved it. Your weekend sounds so nice- I can't get over all of the beautiful sunshine! 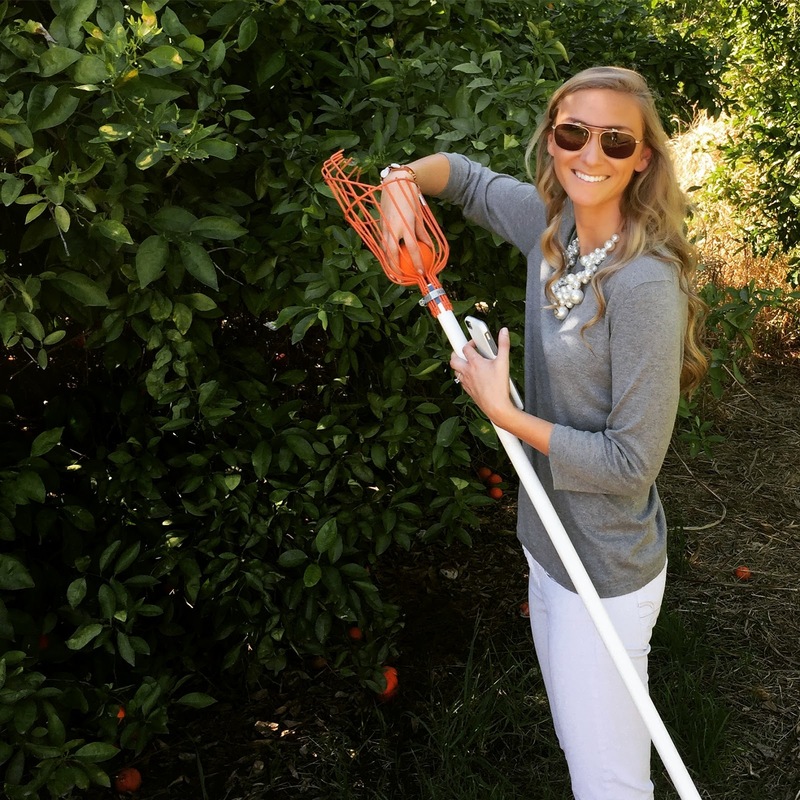 Love the outfit that you wore citrus picking! :-) Looks like it was a lot of fun. Love that nail color, and that last photo is gorgeous. I'm imagining some citrus macarons. You are the best at them! oh that is awesome the citrus picking! I love anything u-pick. Fun and totally affordable. It is such a shame all our farms are like an hour north of us ha. Just long enough to be a pain. I practically have the same pedi =) I saw purple toes on IG the other day and just had to have them for myself. What! I never knew Arizona didn't do day lights savings. Is it not just as confusing to remember what time zone you're going off of now? Interesting. Your sandal weather has convinced me that it needs to be that warm here too! After your Friday post I went out and bought some new Jacks (well knockoffs). What a fabulous weekend! I think it's great that they let you sample the different varieties that they grow. What a fun experience! Oh my gosh what a perfect way to celebrate the first signs of Spring weather! Your weekend seriously looks incredible! Oh this is so beautiful! I'm glad you had such a great time. I've never heard of citrus picking but this is something I would love to do in a heartbeat!! Oh my goodness. 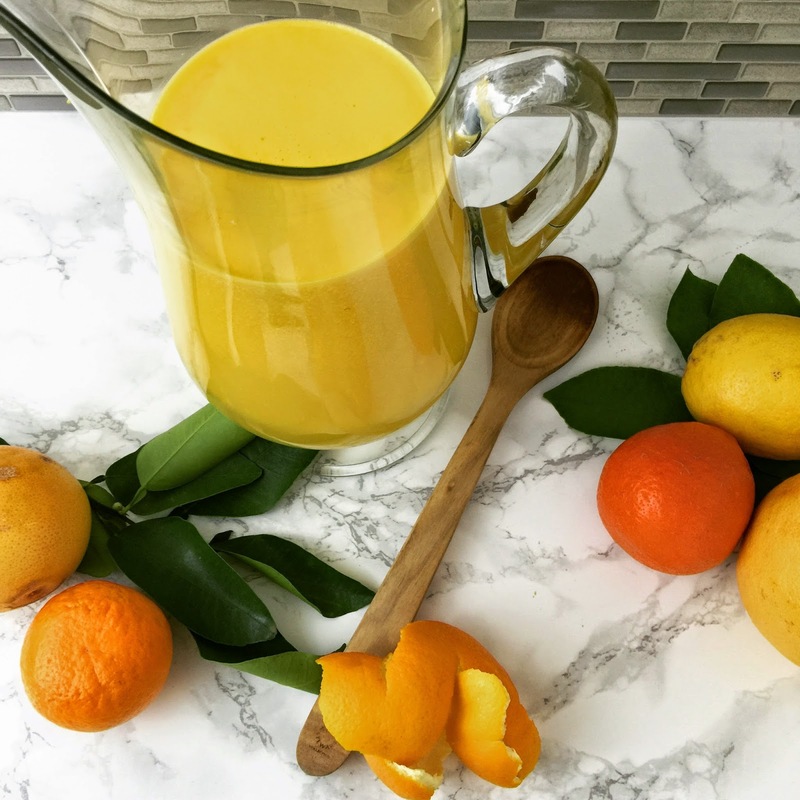 All I have craved during my pregnancy so far is anything citrus... I'm so jealous! I might just have to schedule a trip to Arizona just for that! Looks like it was a great weekend! I had no idea there were even that many types of oranges! And I have to say, I'm pretty jealous of the nice weather you are having! Love the polish color! A citrus farm?! So cool!